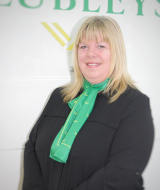 Debbie has worked with Clubleys since 2004, having a great deal of experience in the Sales and Lettings market and knowledge of the local area. A great understanding of providing a professional personal service for both clients and purchasers and matching their individual requirements. Passionate about property, Debbie will be on hand to ensure that you get the best possible service and advice at all times. Debbie is a qualified member of the National Association of Estate Agents.